Randeep Hooda will play Havildar Ishar Singh in Rajkumar Santoshi’s next! Arshad Warsi CONFIRMS Ishqiya 3! Kajal Aggarwal to star opposite Chiranjeevi in his 150th film! Did Katrina say no to south star Chiranjeevi? Baar Baar Dekho trailer out on 3rd aug. Katrina Kaif and Sidharth Malhotra’s Baar Baar Dekho song Kala Chashma crosses the 20 Million mark! 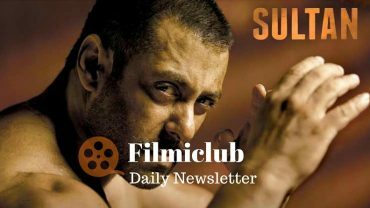 Sultan [Week 4] Fri 57 lacs, Sat 98 lacs, Sun 1.51 cr. Total: 296.86 cr. India biz. Parineeti Chopra was approached for Anees Bazmee’s upcoming film Mubarkan with Arjun Kapoor and Anil Kapoor. But she said no to ensembled cast as she is interested in doing solo film with Arjun. Man held for trying to enter Amitabh Bachchan’s bungalow! Hrithik Roshan To Star In Shahenshah Remake? Dishoom collects Rs. 37.32 cr. Fri 11.05 cr, Sat 12.02 cr, Sun 14.25 cr.